What does pectoralis minor mean? The name of the pectoralis minor muscle describes the general location of this muscle. Pectoralis comes from the Latin word “pectus” meaning breast. Minor comes from Greek and means “the lesser”. This is the smaller of the two pectoralis muscles. Where does the pectoralis minor muscle attach? What actions does the pectoralis minor muscle do? 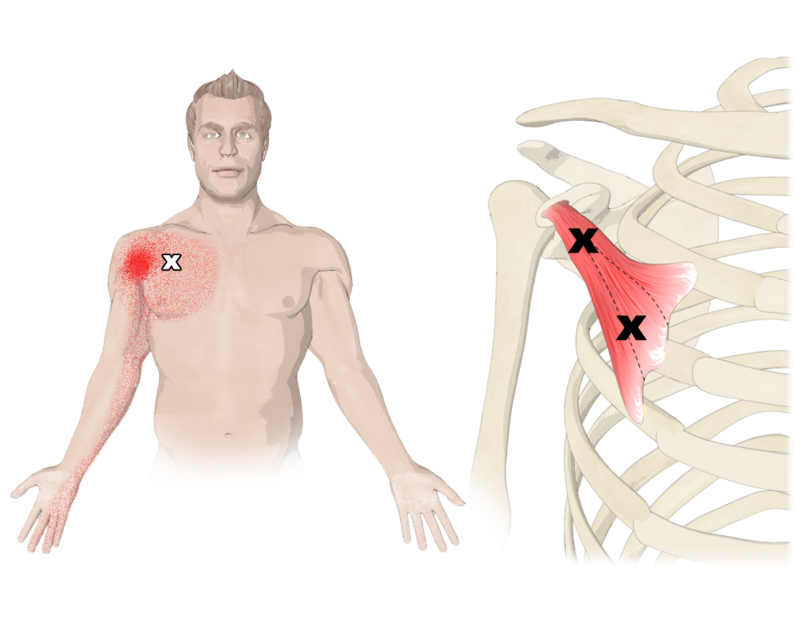 What are the most common injuries to the pectoralis minor muscle? The pectoralis minor muscle doesn’t necessarily get injured. However, it is important to note that the nerves, as well as the arteries and veins that feed the arm, all run beneath the pectoralis minor muscle. If the muscle is strained or gets too tight it can compress these structures, causing problems all the way down the arm. At this point it usually fits in under a condition known as Thoracic Outlet Syndrome. As we push into the floor and lift our body, our scapulae depress, an action of pectoralis minor. In dhanurasana the scapulae are retracted, stretching the pectoralis minor.